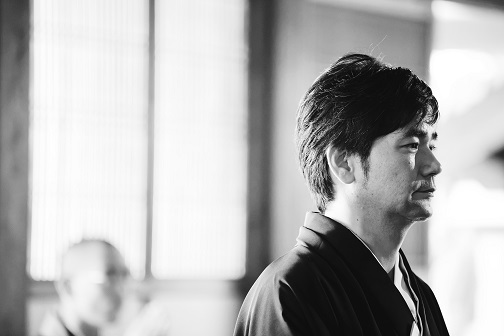 A portrait of the groom with the determined face. 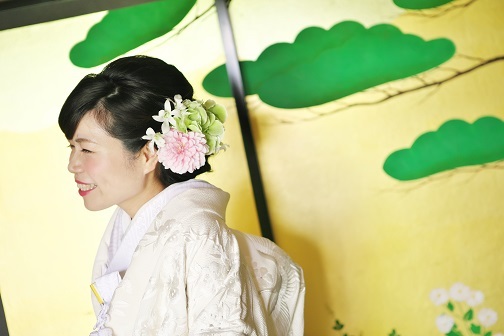 We had a happy surprise visit from a couple who got married at Kodaiji Temple one year ago. She always makes our hearts warm! 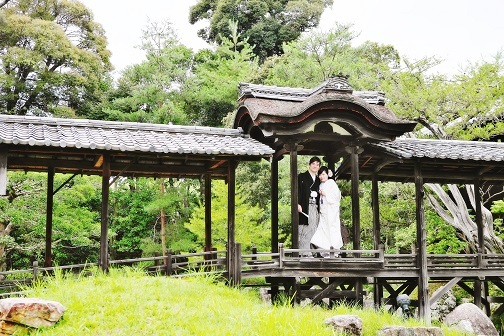 Their happy faces unchanged ever since their wedding gave us the power to work hard! 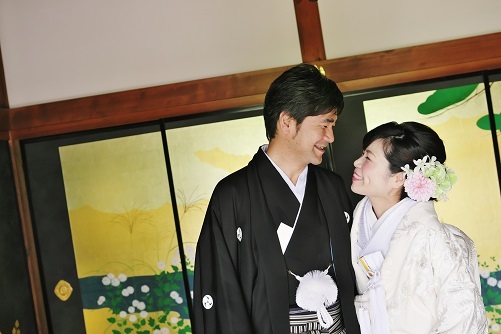 We were so pleased and honored that they traveled all the way to see us in Kyoto on their 1st wedding anniversary. We would like to give our special thanks to them!